Join the Gypsum Recreation Center for their seventh anniversary celebration and pancake breakfast with Santa today from 8:30 a.m. to noon. The Gypsum Fire Department will be cooking breakfast from 8:30 a.m. to 10 a.m. It is donation only and all proceeds go to the Gypsum Fire Department. 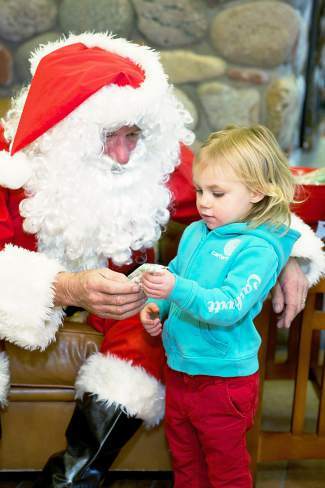 Visit with Santa from 9 a.m. to 10 a.m. then join us for a free open house from 10 a.m. to noon! The open house will include gymnastics, face painting, bounce houses, rock climbing and swimming! For more information call the Gympsum Recreation Center at 970-777-8888.